Tray drying refers to dehydrating small pieces of produce by exposing them to a source of hot dry air or to the sun until dry enough to store at ambient temperature with minimal spoilage. Dried foods are lighter and store in a smaller space than canned foods and do not require a constant power supply like frozen foods. 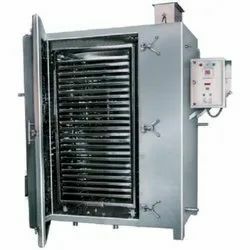 Humanitarian organizations have taken up tray drying technology for use in areas of the world without access to easy energy, where food preservation is critical to maintaining communities under threat of social, economic or environmental pressure. When portability is essential, whether out of necessity or for recreational use, dried foods are the obvious choice.